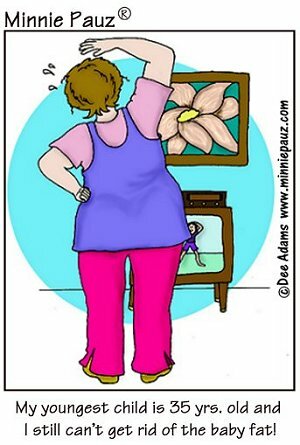 Sometimes it's harder to lose weight when you're in menopause than it was after having babies! There are physiological reasons for this, but it doesn't help much to know WHY when all you want is to drop the weight! But if you can have a sense of humor and then change EVERYTHING you ever learned about eating and exercising, MAYBE you will be able to drop a pound or two in about 6 months!! Seriously though, you're not alone and it really is going to take some research and patience to find out why our bodies change so much during and after menopause! What really worked for you? Was it changing the way you eat? Getting more exercise? With all the "solutions" for weight loss these days, all the miracle cures, it still takes a lot of dedication and research and experimenting to find out what will be the answer for you!